Deaconess Constance Reynolds Alston Davis heard God’s whisper, and gently took His hand on Good Friday, March 30, 2018 at her home. Constance was born in Warren County to the late Alexander II and Hilda Alston on August 17, 1941. 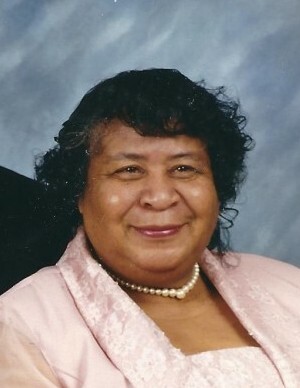 Constance was educated in the Warren County public school system, graduating from John R. Hawkins High School in 1959. She furthered her education at the prestigious Shaw University, earning a Bachelor’s degree in Elementary Education in 1963. Fulfilling her desire to give back to her community, she returned to Warren County to serve as an Elementary School educator. She taught in the Warren County public school system for 32 years, inspiring and enriching the lives of generations of children. Constance accepted Christ into her heart at an early age and became an active and dedicated member of Spring Green Missionary Baptist Church in Warrenton, NC. There, she served faithfully as Deaconess, treasurer, and member of the Senior Choir, Missionary Circle and Finance Committee. She also used her educational skills and training to teach Sunday School. On February 19, 1966 she united in Holy Matrimony to her college friend and fellow educator, Felton B. Davis, Jr. and to this union five children were born: Adrian, Quintin, Daryl, Kendra and Nolan. Constance was a consistently faithful and hardworking woman who honored the Lord by serving. She worked as the secretary of the Warren County Emancipation Proclamation and Historian for the Warren County Missionary Union. In addition, she was an active member of the Retired School Personnel (22 years), Warren County 4-H Leaders Association (34 years) and Alpha Kappa Alpha Sorority, Incorporated (58 years). Constance was a fighter. She’s had some ups and downs but through it all she remained faithful to put her trust in God. Affectionately known as “Connie” to her siblings, she took pride in sowing seeds in the life of everyone she came in contact with. She sowed seeds of love and compassion in every student, coworker, family member, church family member and friend. Her warm smile and gentle, yet firm tone created a positive and trusting atmosphere to everyone she met. She had a special way of speaking the truth in love. She enjoyed cooking great feast for her family and anyone who came to visit. Her selfless compassion made a tremendously positive impact on all that she came in contact with. Her seed sowing reached far beyond her students, family, friends, coworkers and community. She also enjoyed sowing seeds in the ground. Planting flowers was one of her favorite past times. She was known for having beautiful flower gardens in her yard as well as indoor plants. Her nurturing care for humanity and all of God’s creation was shown in every aspect of her life. In addition to her parents, Constance was preceded in death by her oldest son, Adrian Davis. She leaves to cherish her memory her husband of 52 glorious years, Felton B. Davis, Jr.: her daughter Kendra, of the home; three sons: Quintin (Sylvia) of Warrenton, NC, Daryl (Shauna) of Wise, NC, and Nolan (Jamie) of Raleigh, NC; nine grandchildren: Quintin Montel, Jamarcus, Brittany, Christian, Darauna, Torrey, Morgan, Daniel, and Ayden; three brothers: Moses (Juanita) of Virginia Beach, VA, Raymond of Brooklyn, NY and Alexander III (Rebecca) of Murfreesboro, NC; two sisters: Elizabeth Giddiens of Mesquite, TX and Carolyn “Bebe” Hayes of Warrenton, NC; three sisters in love, Etta (James) Slade of Olney, MD, Anna Mozelle Manning of Louisburg, NC, and Mariah Bernelle Edgerton of Durham, NC; six brothers in love, James Davis of Matawan, NJ, Joseph Davis and Bennie Davis (Teresa) of Louisburg, NC, Fred (Kathy) of Temple Hills, MD, Raymond Davis of Atlanta, GA, and Glenwood Davis of Marietta, GA; one God son, Jamel Haynes, and a host of nieces, nephews, other relatives, and friends.